High tech meets high fashion with this hybrid, luxury small SUV. 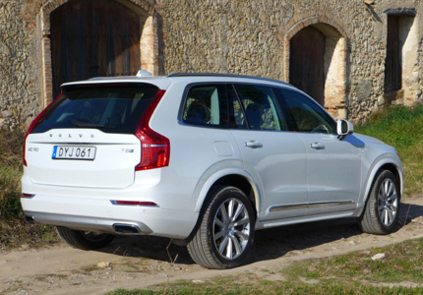 A smartly designed large hybrid SUV, the Volvo XC90 T8 is full of advanced technology and has some unique aesthetic features as well. 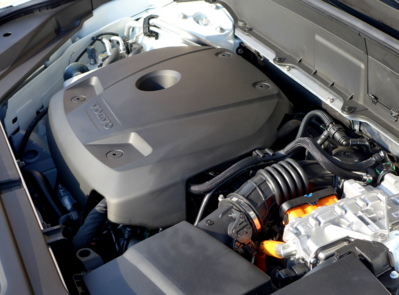 To begin with, the 2016 XC90 T8 uses an unusual engine for such a large vehicle. 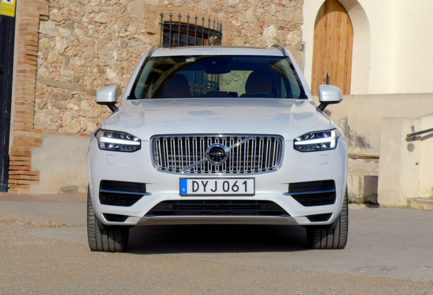 Unlike most rivals with their V6 or V8 engines, the XC90 T8 uses a 2.0-liter inline 4 that is both turbo and supercharged, paired with a set of electric motors and a 9.3 kWh battery pack that can be charged off the grid or recharged while driving. The gas engine drives the front wheels and helps charge the battery, while an electric motor drives the rear wheels, providing a torque-vectoring all-wheel drive system. The total power output is rated at 400 horsepower and 472 pound-feet of torque. 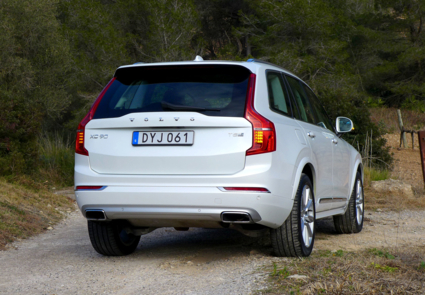 The two-and-a-half ton plug-in hybrid XC90 also returns reasonable gas mileage. 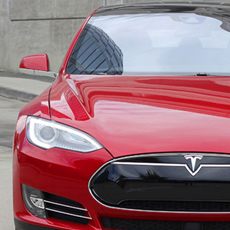 On a full charge, it’s possible to drive about 20 miles on electric power alone. Multiple driving modes range from “eco,” which cycles the climate control to avoid using gas, to “power” which channels all available torque to the wheels. The Volvo XC90 T8 is said to be able to hit 60 mph in 5.6 seconds, an impressive feat for a vehicle so large and so fuel-efficient. 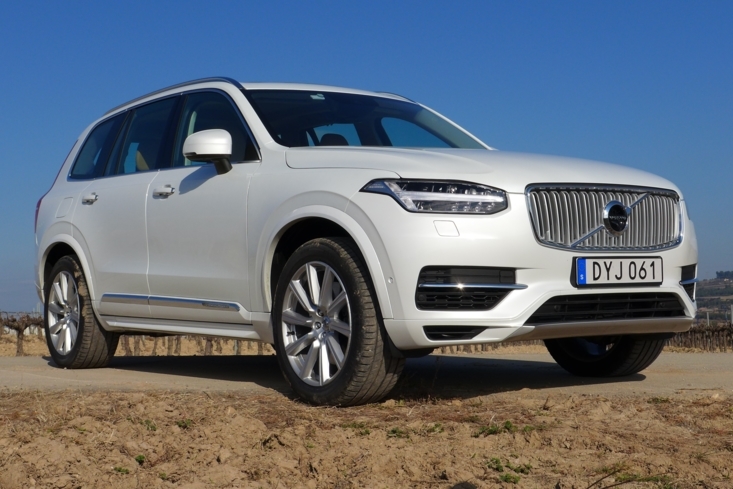 Its efficiency is only half the story for this refined Scandinavian SUV, though. 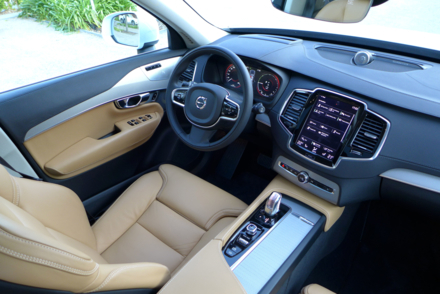 Using Volvo’s interior design theme, the XC90 T8 has a cabin that’s both cosseting and minimalist. 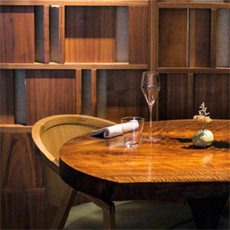 Recalling mid-century modern elements, the dash and most interior fixtures are linear, open and functional. The center stack is dominated by a huge iPad-like screen incorporating Volvo’s latest “Sensus” infotainment system. The gear selector is made of Swedish crystal, a nice touch. Buyers looking for a more understated, aesthetically distinct alternative to an Escalade or German luxury SUV would do well to check out the 2016 Volvo XC90 T8. 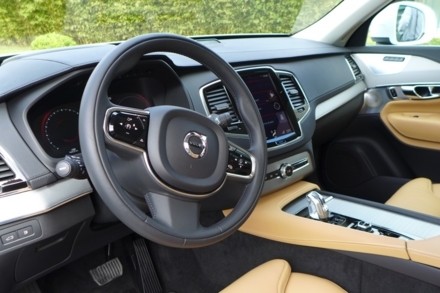 It may not have the ultimate brawn of an X5-M or Porsche Cayenne Turbo, but the handsome Volvo makes up for it with abundant class and refinement, not to mention one of the nicest-looking dashboards in the business. 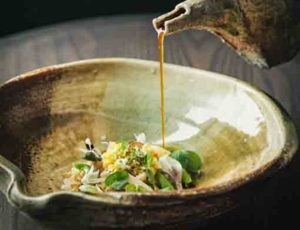 Elegant, Modern Scandinavian Design. Luxurious seven-passenger SUV. Scandinavian Crossover Boasts Advanced New Engine. A luxurious and technologically advanced crossover. Smart Station Wagon. A fuel-efficient, family-friendly station wagon. Less Ikea, More Iditarod. Rugged, lifted all-wheel-drive station wagon. Fuel Sipping Sweede. A powerful yet efficient sedan. 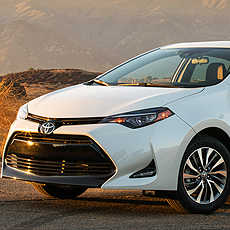 The future of hybrid technology: a smart and stylish hatchback. A fuel-sipping hatchback for ascetics at a bargain price. A luxury mid-size SUV in casual clothes. A full-size SUV redesigned with MPG in mind. A massive, powerful luxury SUV. A G37, By Any Other Name. A pleasant but dated premium convertible. 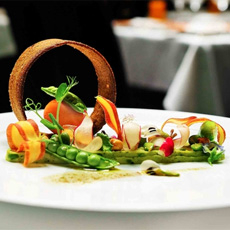 Luxury sports sedan hatchback: An elegant and athletic 4-door car. A swift and stylish turbocharged luxury sedan. An ultra-luxurious high-performance super convertible.